Also referred to as compulsive gambling, gambling addiction is considered to be a form of impulse-control disorder. Currently, this problem is affecting between 2 and 4 percent of the population. 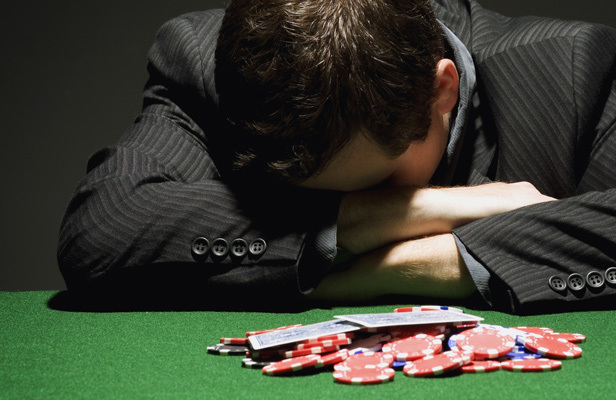 Gamblers affected by this problem continue betting whether they are broke or flush, down or up, depressed or happy. They will continue gambling, even when the odds are against them or even when they cannot afford to lose the bet. Do I Have a Gambling Addiction? How do you know that you are addicted to gambling? If the following conditions apply to you, then you are probably addicted to gambling. If more than six of these conditions apply to you, then you are most likely addicted to gambling. Basically, gambling addiction kicks in after repeated gambling over a considerable period. However, on rare occasions, the vice will creep in after the first bet. Many people enjoy social gambling for a long period without experiencing any problem, but increased frequency of gambling, coupled with life stresses can turn an otherwise casual gambling into an addiction. Is There Any Treatment Available for Gambling Addiction? Dealing with gambling addiction can be an uphill task as most of the addicts have difficulty admitting their addiction to the vice. Since most of the solution lies in admitting that you are addicted, failing to acknowledge that would make the treatment complicated. Basically, there're two main approaches to combat the addiction. Psychological treatments, including cognitive behavioral therapy and behavior therapy may be used to treat this compulsive betting. With behavior therapy, you make use of systematic exposure to the vice you would like to get rid of–gambling, and learn various skills on how to minimize the urge to gamble. Cognitive behavioral therapy, on the other hand, capitalizes on identifying the negative, irrational and unhealthy beliefs and replacing them with positive and healthy ones. To treat problems associated with compulsive gambling, you may need to use medications, such as mood stabilizers and antidepressants. These medications play a major role in dealing with problems like the obsessive-compulsive disorder, ADHD and depression, associated with gambling addiction. However, medications cannot be used to cure the compulsive gambling itself. Other medications, such as narcotic antagonists, that have been proven to treat substance abuse may also be of help. What Else Can I Do to Beat a Gambling Addiction? There're times when you can beat the addiction by yourself if you're really determined to get rid of it. All you have to do is make up your mind, find some distractions and stick to your plan. Negative feelings, including loneliness, depression, stress and anxiety can either trigger or worsen compulsive gambling. Following an argument with your spouse or a stressful day at work, many people think that an evening at the casino or the track can help them alleviate the negative feelings. There are various considerably cheaper and healthy ways of keeping these negative feelings at bay, such as meditating, exercising, practicing new hobbies, exploring relaxation techniques or meeting with friends. Even after gambling, the problem that drove you to gamble will still remain. As such, it is better to find healthy ways of dealing with stressful situations, rather than gambling. Decision: Prior to gambling, you must have made the decision to gamble. If you experience the urge to gamble, you should try to avoid it by stopping what you are doing and maybe calling a friend. Additionally, you should also think of the consequences of gambling. Money: Betting cannot happen without money. If you are addicted to the vice, allow someone else to manage your money, including credit cards and always have limited amount of money on you. Time: You should also keep yourself occupied to avoid getting free time to gamble. Environment: Without a game, there is no bet. Therefore, avoid visiting gambling establishments and locations to avoid the temptation to gamble. Get help: If you have the craving, call a trusted friend or family member and meet for coffee or something else. Find some diversions: Distract yourself from the thoughts by maybe going to the gym or cleaning the house. Postpone gambling: Convince your body that you will go for gambling after some time, as time passes, the urge may disappear. Avoid isolation: If loneliness drives you to gamble, create healthy social networks by connecting with old friends and finding new ones. Although the urge may be hard to overcome, do not be too hard on yourself. Overcoming the addiction is a gradual process. Continue working on these strategies and you will gradually recover.